A Portsmouth, Ohio man has been arrested on drug and firearm related offenses, according Portsmouth Police Chief Robert K. Ware and Scioto County Sheriff Marty V. Donini. On Tuesday at approximately 11:17 p.m., officers with the Portsmouth Police Department responded to a complaint of subjects fighting in room 46 of the Royal Inn located on Kendall Avenue in Portsmouth. While investigating the complaint, officers came into contact with 23 year old Richard Lee Bolda of Front St. Portsmouth and observed a semi-automatic handgun present in the room. Bolda was found have a warrant for his arrest on indictment related to several felony drug offenses that had been issued by the Scioto County Common Pleas Court after a case had been presented to a grand jury by the Southern Ohio Drug Task Force and the Scioto County Prosecutor’s Office earlier this year. Over $2,500 cash was found on Bolda’s person and further investigation resulted in the discovery of approximately 62 grams of suspected crystal methamphetamine a.k.a. Ice and 19 grams of a powder suspected of being heroin and / or fentanyl. The suspected drugs seized have an estimated street value of $6,000. Upon request, officers with the Southern Ohio Drug Task Force responded to the scene to assist with the investigation and upon a further search of the room discovered additional evidence of drug trafficking. Bolda was charged with Trafficking & Possession of suspected methamphetamines, both felonies of the 2nd degree, and having a weapon while under disability, a felony of the 3rd degree. Bolda was placed in the Scioto County Jail and was to be arraigned in Portsmouth Municipal Court on Wednesday. Bolda is also being held without bail until he is arraigned in Scioto County Common Pleas Court. 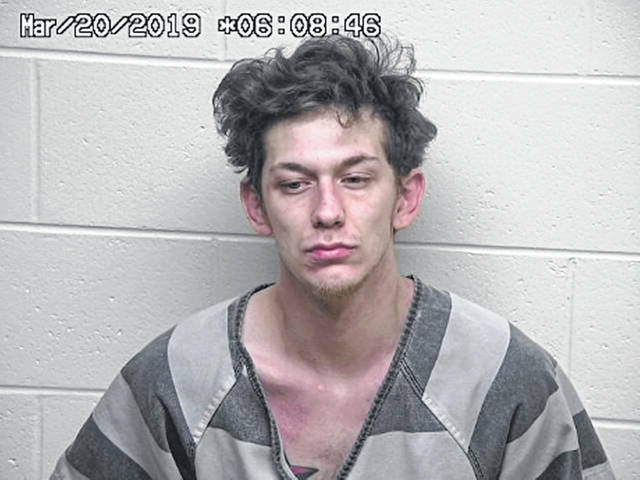 The case against Bolda will eventually be forwarded to the Scioto County Prosecutor’s Office to be presented to a Scioto County Grand Jury for the consideration of additional felony drug charges. Ware and Donini request anyone wishing to leave drug information for the Southern Ohio Drug Task Force, should phone the Task Force tip line at (740) 354-5656 or email drugs@sciotocountysheriff.com. All information will be kept confidential and anonymous.